Poui Publishing and Productions Ltd. 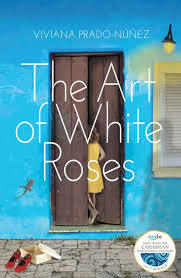 The Art of White Roses by Viviana Prado-Nunez is the 2017 winner of the Burt Award for Caribbean Young Adult Literature. Thirteen year old Adela lives in the midst of a revolution in Cuba. She is not oblivious to the discord that is happening around her but as times go on more and more events are unexplained. First, a well-loved young lady goes missing, then Adela’s own cousin, Miguel survives a boom attack at the hotel where he works. However, nothing makes an impact as much as the devastation that unexpectedly hits her parent’s marriage. The family discovers that her father was having an affair with a prostitute. Before long that is the least of their problems. Adela cannot forgive her father; she questions why her mother is tolerating him and his mistress. She focuses on solving another mystery with her brother and cousin Miguel and they are led to discover more than they bargained for. They find themselves in clear and present danger but their lives are spared because of the swift thinking of a guilt-riddled man, who is subsequently murdered by an unsuspecting hand. The subplot and plot in The Art of White Roses were unpredictable and all led to a believable end. It is one of the more unique subject matters from the Burt Awards collection. 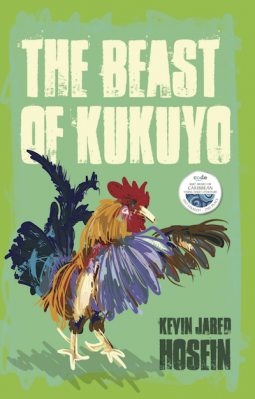 The Beast of Kukuyo by Kevin Jared Hosein is the 2017 second place winner of the Burt Award for Caribbean Young Adult Literature. An adventurous story about a girl’s choice to investigate the murder of her classmate, The Beast of Kukuyo follows Rune as she tracks clues and uncovers secrets. Rune, a lover of the TV show Murder She Wrote, lives with her grandfather and alcoholic brother. She is an outcast at school except for her friend Tiki, a good looking boy who’s abusive father dislikes her. Tiki is her voice of reason; a voice she rarely obeys. When Rune is mistakenly dubbed a thief while investigating a lead, her grandfather punishes her by making her work for a pig farmer. It takes her a while to relax with him. However, her discovery of a bag of teeth in his bedroom alleviates the pity she felt for him. She realizes that he was not what he seemed or he might have been over his head in an arrangement with the neighbourhood gangster. Rune does not slow down; she moves forward with her investigations even though the danger is escalating. All the while she still deals with bullying and trying to find her place in a village where she believes her complexion is a liability. Upon finishing The Beast of Kukuyo, it became one of my favourite books from the Burt Awards. Hosein’s way with words maintained my excitement from cover to cover. His many original metaphors and jokes showcased his skills and experience as a writer. I expect that any teenager would enjoy this story as it has a little of everything and is written a style that you would always want to know what happens next. 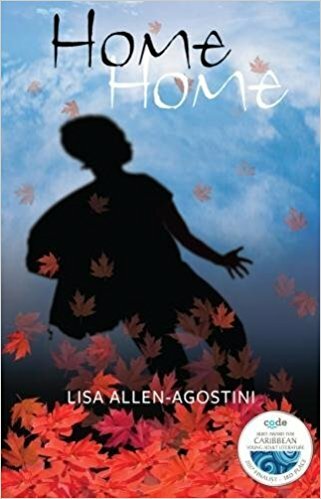 Home Home by Lisa Allen-Agostini is the 2017 third place winner of the Burt Award for Caribbean Young Adult Literature. At just ninety pages, it is a quick but enlightening read about a fourteen year old girl’s struggle with mental illness. Kayla, a Trinidadian residing in Trinidad, is shipped to care of her aunt in Canada after a failed suicide attempt. Her aunt and her lesbian live-in partner welcome Kayla as their guest with an option to stay on a more permanent basis. The sexuality of the couple is of no relevance to Kayla; they are stable and very supportive. Without reason, she is guilt-riddled about burdening the childless ladies especially because they were not obligated to accept such a huge responsibility. Kayla’s mother had always been ignorant and in denial about her condition hence sending her away. As a result, their mother-daughter relationship continued to be strained and dispassionate. Kayla forms the cutest crush of the son of her aunt’s ex-boyfriend. They soon bond over their untraditional lives and are able to give each other a safe environment to share their truths. Home Home was a good read that shines a spotlight on two taboo topics, homosexuality and mental illness. It was well written with simple vocabulary appropriate for middle-grade students and teens. 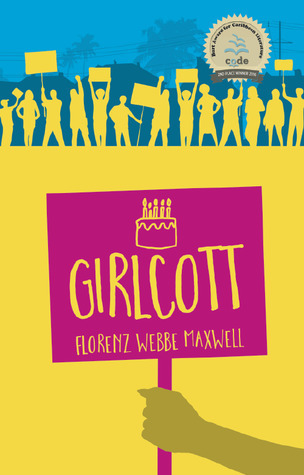 Girlcott by Florenz Webbe Maxwell is the 2016 second place winner of the Burt Award for Caribbean Literature. Fifteen year old Desma could not be more excited about her upcoming sweet sixteen birthday plans. She has also recently won a very prestigious scholarship that would give her the opportunity to become an Actuary. Everyone is happy for her and her life is seemingly perfect until a boycott threatens to disrupt, even cancel her birthday lime at the local cinema. A group named the Progressive Group has initiated opposition to segregation in Bermuda. At first, Desma is very annoyed at the disruption until several unsavoury incidents happen to her and her family. She changes her view and decides to do something about it. This is another deserving book from the Burt Awards. This book can be of interest to children in primary and secondary schools. It shows the growth in Desma’s mindset when she realizes that she was oblivious to an issue that was affecting her until something drastic happened. I enjoyed the progression of the story and the supporting characters especially Desma’s best friend and mother. Please visit my www.goodreads.com page to view my rating of this book and to see which books I am currently reading. 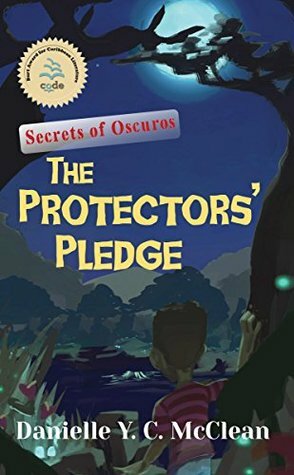 The Protectors’ Pledge: Secrets of Oscuros by Danielle Y.C. McClean is the 2016 third place winner of the Burt Award for Caribbean Literature. JV is an adventurous eleven-year-old boy on vacation from school. He lives with his grandmother who is the quintessential Caribbean granny; she loves to feed everyone who comes to her house. She is also the ‘medicine woman’ in their village. JV has plans of exploring the forest for the vacation, he is very excited, but his grandmother and other villagers discourage him from doing so because of their suspicions and beliefs that the forest is the home of mythical/folklore creatures. JV defies his grandmother and goes further into the forest that she has instructed him to. On his first visit, he goes with two friends, but they leave separately, and JV sees a strange woman in a river that makes him curious about who or what she was. He suspects that his friends have also experienced something odd or have seen something strange, but none of them says anything. Soon after a little girl goes missing, and JV along with several villagers unsuccessfully search the forest to find her. When JV goes into the forest alone, he learns who the woman he saw was, and he discovers another mysterious character. They have the child and JV makes a deal to help them in exchange for the girl’s safe return home. JV wants to return the girl to her parents, so he bravely embarks on a mission to honour his promise. In turn, he is forced to confront a dangerous situation. This book was lovely. Lovely isn’t a word I would typically use to describe a book, but I can see both boys and girls loving this story. It is, of course, entertaining but it also sheds light on an important issue and it incorporates folklore which is one of my favourite things to read about. 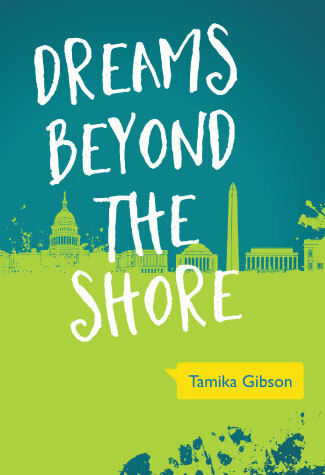 Dreams Beyond the Shore by Tamika Gibson is the 2016 first place winner of the Burt Award for Caribbean Literature. Dreams Beyond the Shore simultaneously chronicles the life of the daughter of a political leader on the heels of elections in Trinidad and Tobago, and her love interest, Kyron, the son of a shady businessman. Chelsea Marchand wants nothing more than to be a Writer, but her father Dr. Peter Marchand is openly unsupportive of her creative pursuits. He wants her to be a Lawyer, and eventually follow in his footsteps towards the political arena. Chelsea and Kyron met when they are both in the registration line at the University of the West Indies. Although Kyron is attracted to Chelsea, he initially judges her by her obvious financial security. He, himself, is financially secured, compliments of his father with whom he has no real relationship. Kyron doesn’t learn that Chelsea is the daughter of a political candidate until a few encounters later. In spite of the pressure to keep up appearances, Chelsea forcefully bargains with her father to allow her to date Kyron. She also concocts a plan with her grandmother to pursue her studies in line with her creative passions, rather than study Law. I enjoyed this book because it showed the viewpoint of both main characters, Kyron and Chelsea. It also demonstrated very accurately how differently a boy and girl can interrupt the same situation. The story became more interesting when both children began to uncover their father’s secrets, one by one. Kyron and Chelsea’s relationship was challenged, as well as their relationships with their respective fathers. Tough decisions had to be made, and both children learn more than they are comfortable knowing. The plot and the style of writing of this book were new to me. The twists were executed in good timing, and the characters were well portrayed. I would recommend this book to teenagers and adults alike. 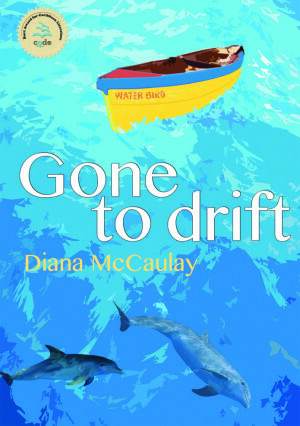 Gone to Drift by Diana McCaulay is the 2015 second prize winner of the Burt Award for Caribbean Literature. Gone to Drift is the story of Lloyd, a Jamaican youth who refused to accept that his grandfather, Maas Conrad, was dead when he did not return from a fishing trip after several days. Both family members and neighbours alike implored twelve year old Lloyd to cease his search and dangerous investigations. He defies them and continuously goes to great lengths to trace his grandfather’s steps. Lloyd finds some very ugly truths that he had suspected. Eventually, with the help of a young female scientist, he learnt that Maas Conrad was last seen at Pedro Cays, a group of islands that was not his usual fishing location and that his disappearance might be connected to his disapproval of an ongoing Dolphin trade. Parallel to this story, the writer narrates a first-person account of Lloyd’s adult life and subsequent tribulations. This book was a memorable read. It was able to highlight an important current environmental crisis without detracting from the main storyline which was Lloyd’s determination to find his grandfather. Social issues regarding survival and the compromise that one sometimes has to make to keep afloat was also addressed.